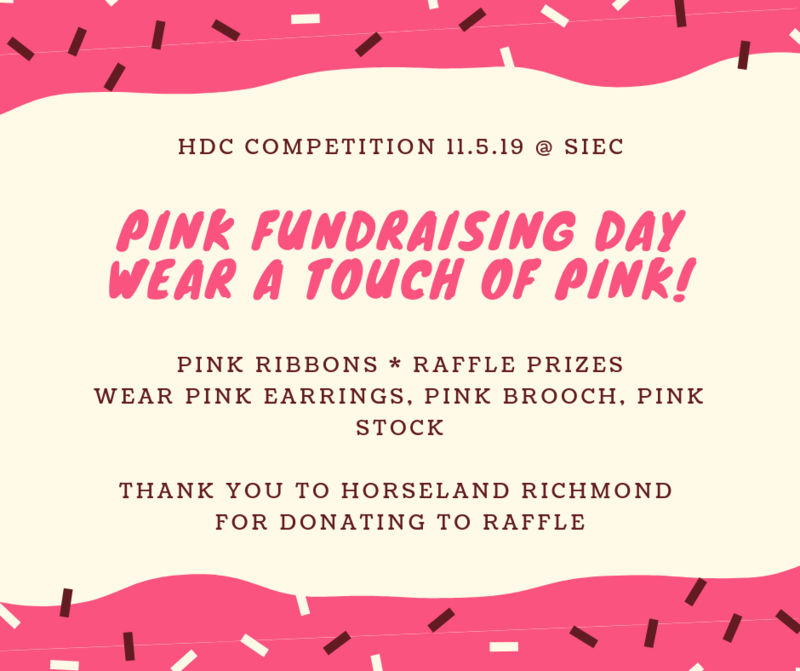 Hawkesbury Dressage Club is hosting a pink fundraiser for its May 11 competition. 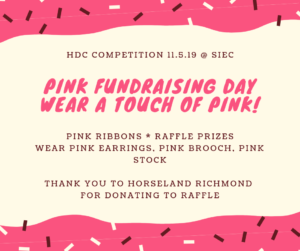 Wear a touch of pink – pink earrings, a pink stock, a pink brooch – and help us raise funds for a worthy cause. Pink ribbons are on offer and there will also be a range of fantastic raffle prizes. Of course, we are again looking for volunteers – remember, without our volunteers we can’t run the show! – and businesses to donate to our raffle. If you or a family member can help out on the day, contact our secretary Leanne Bell via email bellbrae@iinet.net.au.